Rextar-X is the latest, upgraded and totally new design among Rextar series. We put a lot of consideration and effort to create Rextar-X. Operation software is more powerful by adopting smart buttons. ALL POSDION REXTAR X-rays are designed with saftey in mind. Built-in leaded Double-Shield in Rextar units ensure that leakage from the x-ray sourse itself is almost eliminated; protecting the operator's who close to the device. 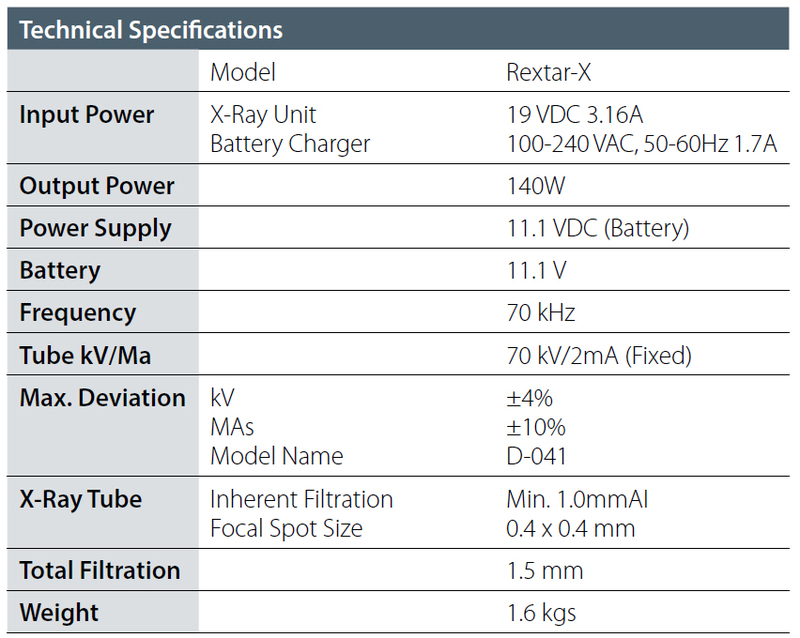 All Rextar series have the highest technical specification among portable X-ray devices. It contribute for both image quality and safety. 2. 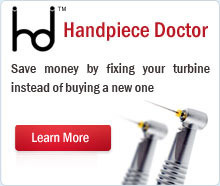 Ergonomical design reduce risk to exposure by scattered radiation. 3. Reliable safety protects user to stay with patient during X-ray procedure. 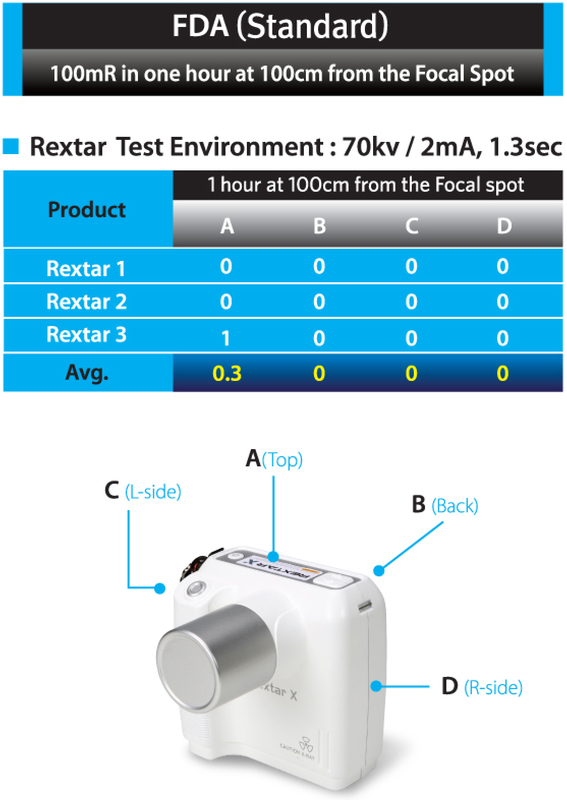 REXTAR-X (Conventional Film, Digital Imaging Sensor, Phosphor Plates). These buttons are same as channel buttons on TV remote control. If you have typical patient types, you can categorize them into four cases. For these four cases, you can set up the exposure values onto each smart button. After that, you can take X-ray by only three steps, Power on -> Press one of four smart buttons –> Press exposure button. Or you can change the values as per your needs. The buttons indicate patient types (Adult or Child) and types of teeth (Upper, lower – Canine tooth, Molar tooth). To take dental X-ray, operators have to position devices and place sensors or film to patients’ teeth. And conventional portable X-ray equipment should be handled by both hands due to heavy weight and all function buttons are spread in right and left sides. So users need assistants or ask patient to hold film or sensor. 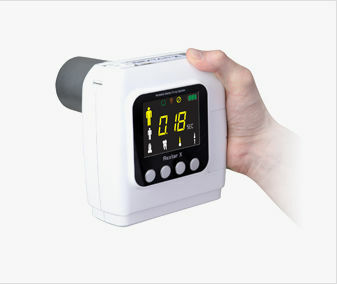 But Rextar-X has been designed with a hand strap, and power button and exposure button are placed in one side. And compact size and light weight can make you to operate it by one hand only. 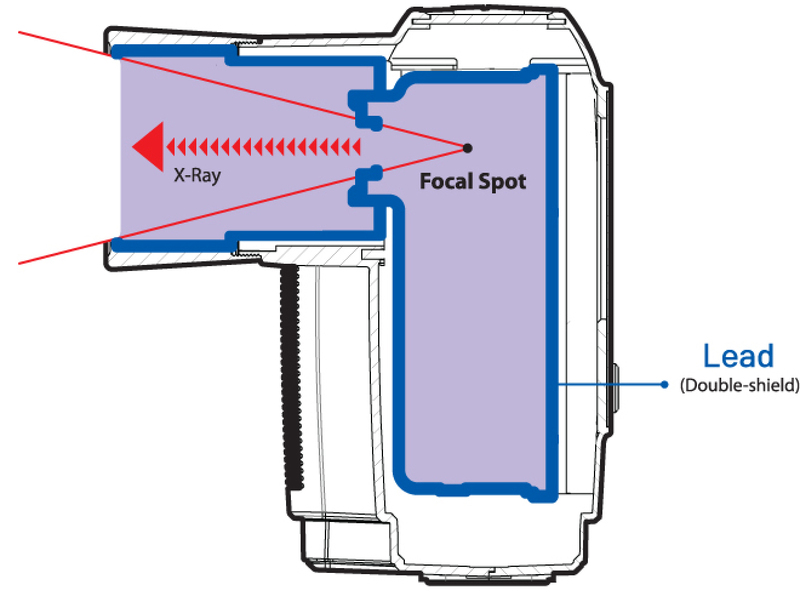 Focal spot size is an important factor to get a clear image in any X-Ray. 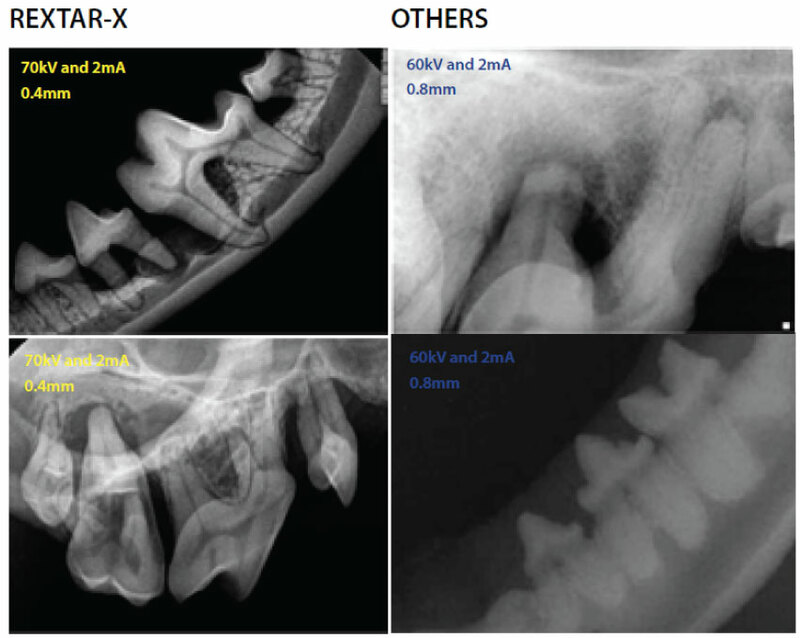 By using Toshiba D-041 tube, Rextar-X provides smaller focal spot (0.4 mm) and smaller divergence of X-Ray (12°). You will experience the most sharp and clear images. Tube voltage is the power of penetrating the bone. In the case of cheek bone, 60 kV could be the reason to cause unclear images as the tube power is not enough to penetrate. Current is a flow of electric charge which means the quantity. In order to get a clear image, the power and current of the tube is and important factor.